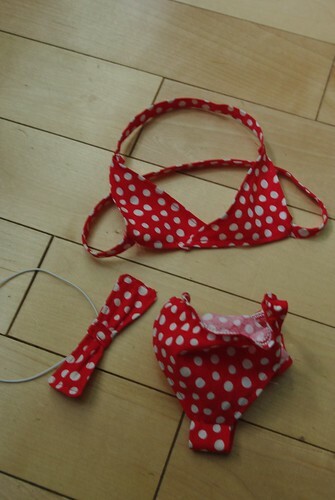 Okay, so I think this weekend's sewing project snags the title of the oddest thing I've sewn in my adult life. 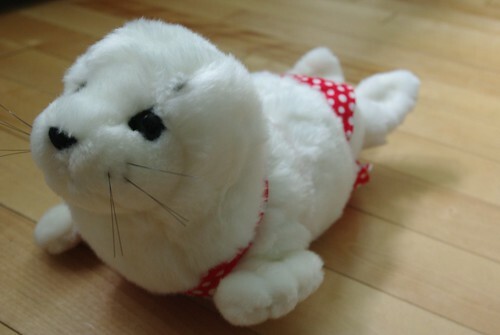 Now, when I was a kid I used to take my Grandmother's sewing scraps and use Scotch tape to make outfits for a stuffed bear at her house, but I never imagined that my supervisor at work would ask that I would make a seal bikini, but he did and here we are. 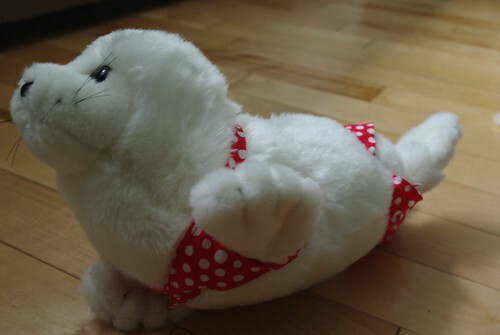 The swimsuited seal and her bowtied beau are the unofficial mascots for my company. 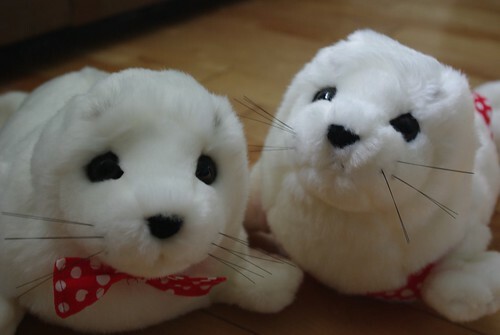 The "Seals of Approval" if you will. 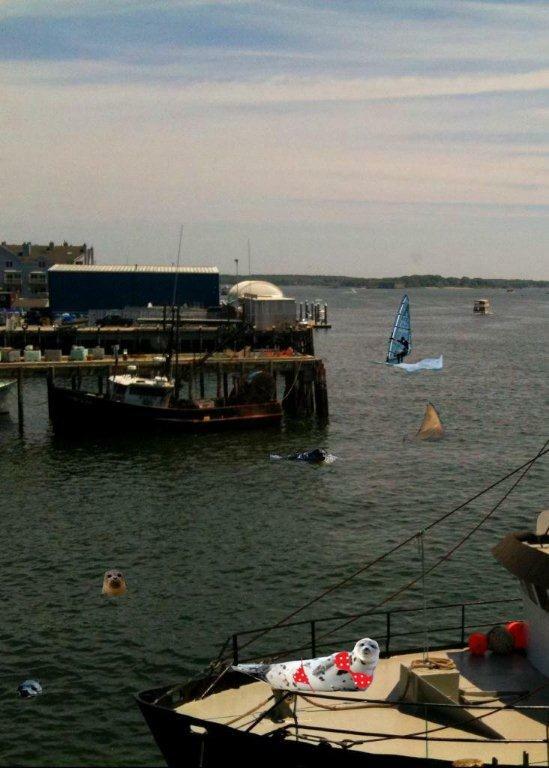 You can't say we're without a sense of humor. So, what's the oddest thing you've ever sewed? ?